I spend a fair amount of my coaching time helping leaders set goals for themselves, their teams, and organizations. I love goals. They bring focus, clarity, and intention to our leadership work and purpose. As 2018 unfolds, I find myself gravitating toward something a little different. Something more along the lines of a strategic direction rather than a specific goal or set of goals. I stumbled across a great little article about New Year themes and thought, ‘Aha! That’s it!’ I like this refreshed approach to resolutions. The notion of one word or short phrase as an over-arching motif allows for a greater sense of flexibility, discovery, and permission for life to roll out in an organic way. For me, ‘Soar’ holds a feeling of vision, as well as the ability to maintain perspective. It has a rising energy, an expansiveness, and lightness – all things I want to experience this year, in my business and personal life. 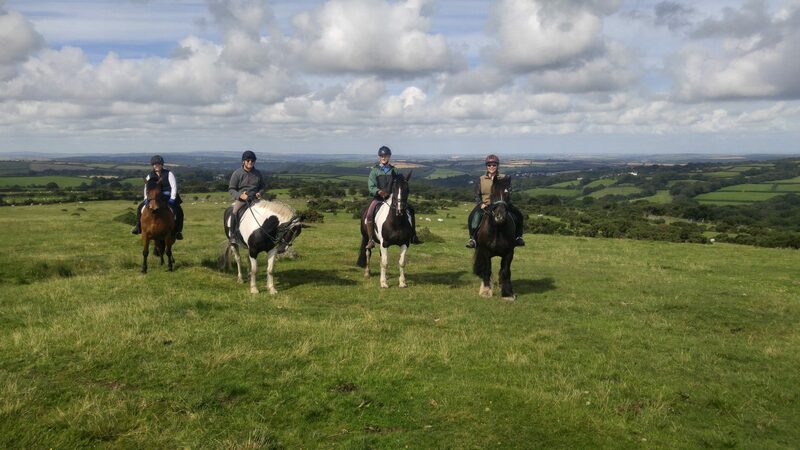 My 2018 theme reminds me of riding the Bodmin Moor in Cornwall, England this past summer. Many of our rides that week started off trotting down a narrow lane, embraced at shoulder-level by Cornish hedges that blocked visibility of the landscape. Then, we rounded a bend and the world cracked open. To big sky, and huge slabs of granite shuddering out of the hills; unbroken, wind-whipped views down to the sea, and wild ponies grazing in heather. It took my breath away to face such vast and wild openness. My trusty Moorland pony, Sydney, took a measured look at the long, steep slope in front of us and shot up the hill like a cannon ball. He was small, like most Moorlands, and, he left the big sport horses in our group far behind. I don’t even recall the last time I went that fast on a horse. The wind was in my teeth and my heart was in my mouth. It took me more than a minute to find my stirrups, my seat, and my courage. After a couple of times, though, I was ‘whoop-whooping’ as we galloped the open moor. Sometimes, it seemed as we neared the crest we could surely just gallop into the clouds. Good leaders learn to soar with ease and comfort, while at the same time adjusting their altitudes to the situation. How do you know you’re at the right altitude? Are you way too engaged at the ground level? Can you adjust your altitude as needed? Maybe you enjoy the stratosphere but need help focusing more on implementation? Coaching can help you practice moving seamlessly from the detailed to the general, from the tactical to strategic, and from the confusing and complex to the simple and straightforward. Altitude isn’t just metaphorical. It can be a physical experience too. Get out from behind your desk, bring your team, and interact with horses for a fresh perspective on your leadership. Develop or revisit your leadership vision – yours, not your organization’s. Improve how you lead and facilitate meetings. Do a self-check: If your leadership is on autopilot, you might miss when you need to adjust your altitude. How can I help you soar this year?